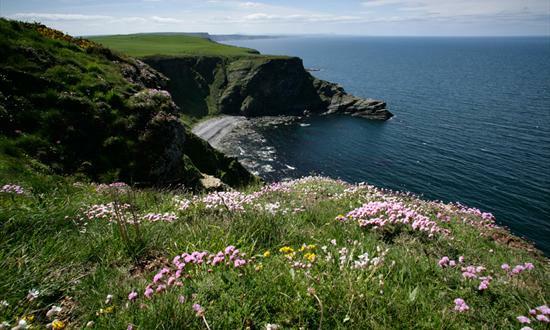 The high cliffs of Troup Head provide a spectacular setting for Scotland’s only mainland gannet colony. There are also thousands of kittiwakes, guillemots and razorbills, along with several other species, including puffins. You may even be lucky enough to see porpoises, minke whales or dolphins offshore. Please take care on the cliffs.